Nowadays, renting vacation homes is a good business, but what if you don’t have a beautiful house by the beach like everyone else? No worries. You can still benefit from AirBnb travel bookings through other means. In today’s niche idea, we’ll be talking about how to make money using AirBnb by merging passion with some online marketing techniques. It’s going to be fun, so stick with me until the end. There’s an enormous information online about how to create a listing so I will not cover that here. The tips I am about to share will come after the fact that you are well versed with the process of becoming an Airbnb host and the legislation surrounding the matter. As of now, there are basically four ways to monetize from this popular travel site. Rent out a room or the entire property for a duration of time and receive payouts from PayPal after deducting a 3% host service fee. Host local travel experiences for several hours OR for a full day and receive payouts after deducting a 20% service fee. Earn commissions by referring new audience to make travel bookings on the site through their exclusive affiliate program. Earn travel credits or cash referral whenever you invite friends or refer a new host to use the platform. While the four methods yield different level of profits, the basic concept in getting new customers online is the same. Create exposure for a service, drive targeted customers to the site and then make money upon successful bookings. When the platform was first created, getting noticed on AirBnb was much easier. But now with over 4 million listings and counting, it might seem a bit difficult to stand out among the crowd. Since listings are free and can’t be advertised, they depend heavily on the company’s own algorithm for exposure. While you can’t fully control the process, there’s a way to influence your position in the search by getting plenty of guests and a lot of positive reviews. But before becoming guests, people need to know that your services exist in the first place and there’s no better way to create an online presence than with a website. Yes, that’s what I mean – a website for your property, your services and a blog for making referrals. And no, there’s no need to hire a web designer because you can do it entirely on your own at a very low cost. If you are renting out a room, this may not be a good idea because overexposure of the location tends to give away private information that can be used against you. If you’re renting a property (or several properties for that matter), having an optimized website is a good start. 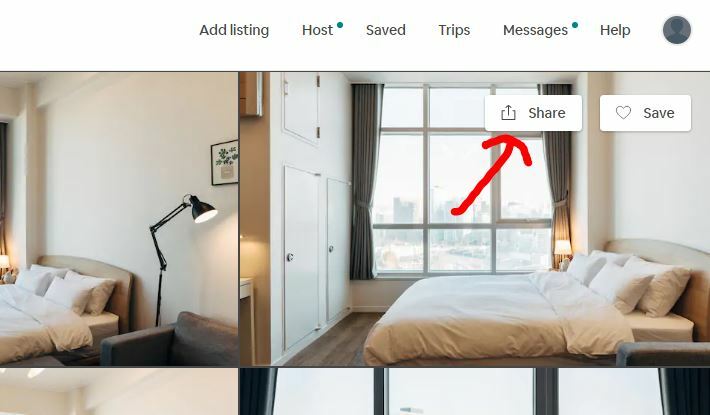 In case you haven’t noticed, each listing on AirBnb comes with a little button on the right upper corner called ‘Share’. When clicked, it allows you to share through multiple channels and one of them is the embed feature. This is basically a series of code that can be copied and pasted onto websites to highlight the property on a webpage. That means, the more often it appears on websites, the more it can attract visitors to that particular listing on AirBnb. Now, the other good thing about having a website is that you can leverage from popular search term to come up with geo-targeted keywords for your site. If people are frequently searching for “dog friendly cottage for rent Scotland” or “beach house for rent in Florida” and the competition level is fairly low, you should definitely create a page within the site and try to rank for these keywords in your area. Even though there are plenty of spaces in a listing to describe a property on AirBnb, nothing beats having a dedicated website that can give people a more creative virtual tour of what your unique home has to offer. You can include a gallery, a video and even share stories about the neighborhood and previous guests as a testimonial of your good hospitality. 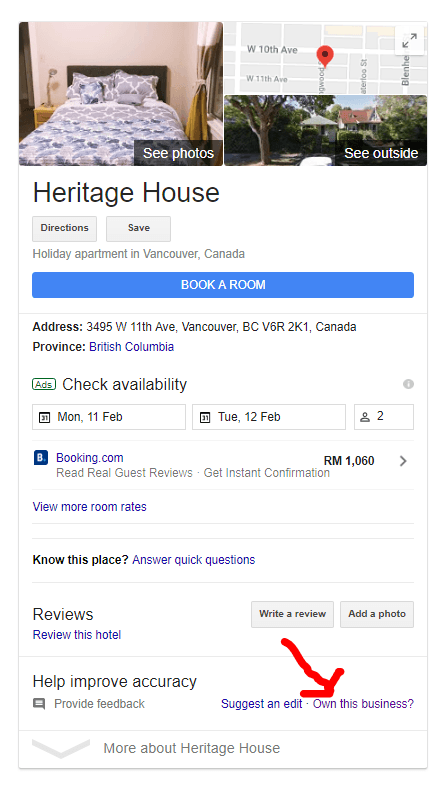 By the way, if your vacation rental has been operating for some time, run a simple Google search on the keyphrase+location used in your AirBnb listing and see if anything like this appear on the result page. If it does, go ahead and click ‘Own This Business’ to claim the listing so that you can have control over what gets published in the box. Here’s where you can include your website URL to attract more visitors. If it doesn’t, just follow these steps to find out how you can create a Google listing for free. As for the choice of web platforms, I highly recommend using WordPress because one, there are numerous ‘real estate’ themes that are quite professional looking and two, when optimized correctly, the website can attract a lot of visitors from local searches. If you’ve not used WordPress before, just create a free website below (you can create up to 25 individual websites for EACH property) and try it out yourself. 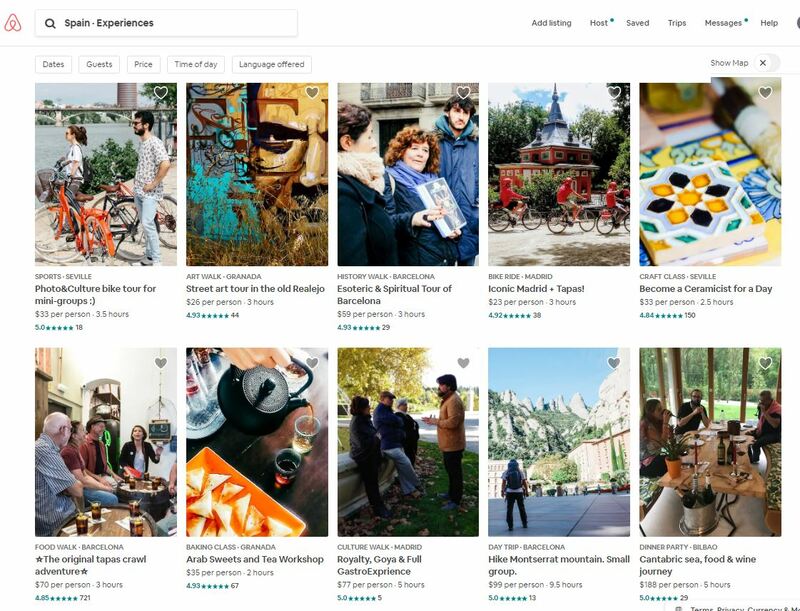 Sometime in 2016, AirBnb rolled out a new service that allows local people to host experiences for travelers. These activities can come in the form of chocolate tasting, jungle walks and even meditation getaway. It can literally be anything that’s creative as long as it’s legal and offers unique experiences. As you might have guessed, most people jumping into this wagon are either professionals, freelancers or someone with a strong background in certain culture or skills within the community. So if you have a wealth of knowledge on an interesting subject and love making new friends, you should definitely set up a website to promote your service. If you have a premise that conducts these activities, like a restaurant or a common centre, you can certainly create a Google listing too. If you don’t, just share your AirBnb profile through a website, active social networks and constantly write about your unique activities in town. The more engagement created through blogs and social sharing, the more people will be attracted to sign up for your offers. An affiliate program is basically a monetization model whereby merchants reward marketers for recommending customers (hosts or guests) to use their products or services. With AirBnb, they are basically looking for people who are passionate about writing inspirational travel and hospitality topics. The more creative you are, the better, but there’s one criteria. You need to have at least one million monthly visitors to your website AND the audience must have a strong intention to book for accommodation or open up their homes for hosting. This type of partnership can be very beneficial for travel magazine sites or large scale organization with multiple writers. If you are just a beginner with very little experience in affiliate marketing, the next program is better suited for you. Anyone can create a user account on AirBnb for free and in doing so, you’ll immediately get two types of referral links – one for inviting friends to become guests and the other for referring potential hosts to list their properties. For every person who completes a new stay or participate in an experience, you’d make $17 and $9 respectively. 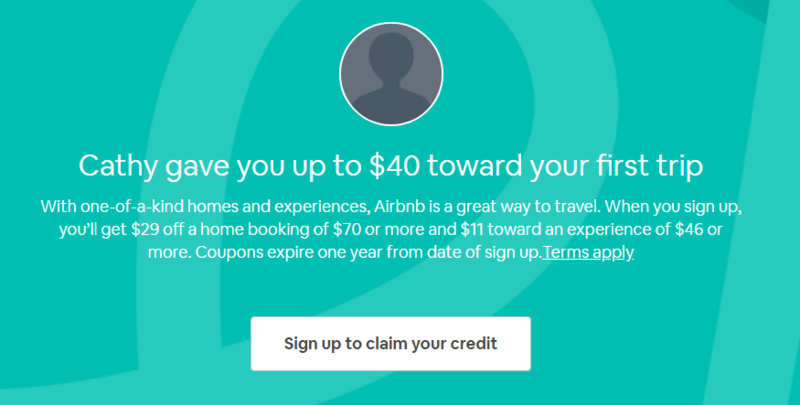 On top of that, you also earn travel credits (a maximum of $5000) to be used on your own travel bookings with AirBnb. Meanwhile, when your friend completed their first reservation as a host, you’d make $15. Apparently, according to the terms and conditions, you aren’t allowed to publish this link on commercial websites or blogs and advertising them is a no-no either. That means, you can only share it, naturally, within a close circle of friends, which I find a bit odd, judging from the grand scale of how AirBnb is operating. I guess this measure is taken to prevent non-serious users on the platform and I actually see a lot of travel bloggers using their invitation links within their content with no problem. However, I guess it’s better to play safe in case they freeze your earning as a result of violating the rules. So here’s what I think could work. You can still go ahead and create a travel blog and share the invitation link on your Facebook profile/page with people that you know. Having said that, if you are really serious about travel blogging, don’t just rely on the AirBnb referral program. There are plenty of versatile travel affiliate programs related to insurance, gears and bookings that you can leverage from. This will give you more opportunity to tap into different audience within the travel niche and diversify your earnings. Always a good idea to put the eggs into several baskets, in my opinion. With so many baby boomers putting up their homes for rental and creative millennials doing side-gigs, there is certainly no lack of opportunity when it comes to making money using AirBnb. Yet with so many competitions and massive online queries about travel related topics these days, it’s crucial to create an online presence for your premises, skills and knowledge to help people find what they are looking for. I say, take what AirBnb has to offer and scale from there using the tips that I’ve just mentioned. Who knows? Someday, you could be running a full-time business renting vacation homes or better yet, traveling around the world. For more exciting ideas on how to make money with vacation homes or while traveling around the world, do check out this comprehensive training platform for a detailed step-by-step guide. AirBnb has always fascinated me as a way to earn money. I can see it being useful, but it just seemed too overwhelming to get started in. I think I always assumed that you need to own a real estate and then just rented it out on a week by week basis to vacationers. But thanks to your article, I see there is a great deal more to it than that. Just the affiliate program alone is a great idea if you have a travel blog or a YouTube channel. And you never need to go near the real estate end of things. Thanks for the informative article. Hello Cathy, this article is very insightful on how AirBnb works. If you have several properties, then creating an optimized website is the way to go. The referral program is also a great way for people who wants to monetize from the travel niche in the online space. I find that their offers provide a win-win situation for everyone in the traveling business. The first time I heard about AirBnb was actually when a friend wrote a research thesis about affiliate marketing and mention it as one of a good way to make money online. I didn’t pay attention to what he was trying to say back then and it was only after reading this post that I am beginning to understand how the entire hosting-renting works. I have a question though – is there any cost associated with the entire process of listing on AirBnb? If so, how much would that be? Also, how do I offer the listing with little or no experience in this field? Hi Agobr, listing on AirBnb is free – you just need to be verified through a few checkpoints that AirBnb has set up in their system. In terms of experience, you can read up on the hosting guide or get in touch with people who have done it before to give you a better insight. I’ve always been curious about how AirBnb work for hosts. There’s certainly a lot of potential making money from renting out a room or an apartment for a particular period of time. The idea of referring customers for local travel experience is super cool too. I am very tempted to sign up, but is this service opened for tourists in Africa? Most certainly Seun. There are already many beautiful homes in Africa, listed under AirBnb as well as local experiences. If you are planning to do either, you just need to verify through their system and you can start offering your space or services to travelers. Pretty cool that you can own a listing with a click of a button. What about people and fraud listing about places for rent and places to sell? How do you combat what’s a real listing and what’s fake? I love being able to navigate the internet and make it work for my benefit. Knowing what’s a safe way to do something gives me a lot more confidence in pursuing that topic. I have been scammed a few times but always before any money was loss so I am so thankful for that. Hi Kira, AirBnB has a system in place to prevent fraud listing. It’s not a perfect system, but it is a whole lot better than few years ago when they were first established.